Four team icons will be available for players who want to support this yearâ€™s semifinalists at Worlds. As with all team icons, 20% of the proceeds to directlly to the teams. [ Note ] You can find context on why Zilean’s passive is being replaced HERE. Zilean stores 2/3.5/5/6/12 experience every 5 seconds (values for levels 1/6/11/16/18). When he has enough to finish an ally’s level, he can right-click them to give them that Experience (cooldown is 120 seconds). ZileanÂ gains as much Experience as he gives. Cannot be used in combat. Sometimes a player might display multiple offensive behaviors in game – in the old system, it wasn’t possible to report them for more than one reason. With these upgrades, weâ€™re allowing up to 3 categories to be selected when reporting a player. Keep in mind, selecting multiple categories doesnâ€™t increase the severity of a report, so only select the offenses that happened in the game. In the future, players who falsely report others may face penalties. The more accurate the report, the better we can help players reform their behavior. This should be hitting the PBE shortly. Please leave a comment if you have any questions. Hecarim is an armored colossus who charges from the Shadow Isles at the head of a deathly host of spectral horsemen to hunt the living. A monstrous fusion of man and beast, cursed to ride for eternity, Hecarim revels in slaughter and crushing souls beneath his armored hooves. The harbinger of oblivion, Karthus is an undying spirit whose haunting songs are a prelude to the horror of his nightmarish appearance. The living fear the eternity of undeath, but Karthus sees only beauty and purity in its embrace, a perfect union of life and death. When Karthus emerges from the Shadow Isles, it is to bring the joy of death to mortals as an apostle of the unliving. The baleful revenant Mordekaiser is among the most terrifying and hateful spirits haunting the Shadow Isles. He has existed for countless centuries, shielded from true death by necromantic sorcery and the force of his own dark will. Those who dare face Mordekaiser in battle risk a horrific curse: he enslaves his victims’ souls to become instruments of destruction. Sadistic and cunning, Thresh is a restless spirit who prides himself on tormenting mortals and breaking them with slow, excruciating inventiveness. His victims suffer far beyond the point of death, for Thresh wreaks agony upon their souls, imprisoning them in his lantern to torture for all eternity. EDIT: AMA’S DONE FOR TODAY! Thanks for coming out and asking questions – If you’re reading this and missed this one (or if we missed yours D:), we’ll be doing two more this month at the same time! We’ll see y’all at 12:30pm pacific, on Friday 10/23! We’ve gathered together the team behind the balance and tuning of League to talk shop about the state of the game, balance, and whatever else you might have on your mind! and yours truly! Got a burning question or top-of-mind curiosity? Fire away: Ask Us Anything! If you want some more behind-the-scenes insights on how League’s balance goes, check out these devblogs by RiotJules and King Jag The King, RiotJag himself! [ Note ] You can find the user’s post that SmashGizmo addressesÂ below HERE. “she is still considered in your point of view as an OP Champion with no rooms to buff”: This just isn’t true. We buffed her plant AI in 5.20 and have been considering additional buffs from there. It is true that we feel pretty limited in what we can actually do because her winrate is actually quite high, which suggests that she’s probably not as weak as people think, but it’s just not true that we don’t consider that we have room to buff her. 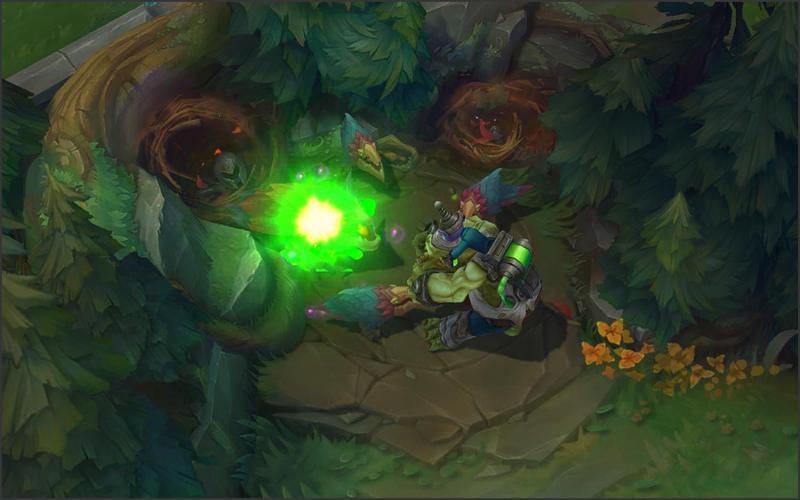 You talk a lot about how we view Zyra as a long ranged mage, but I’d say that we view her as a ‘zone-controller’, more akin to Anivia and Heimerdinger than say Lux and Ziggs. A large part of what defines a zone control mage is their slow movement and set-up time, but extreme power once they have established a position, which is a large part of why they tend to have low defenses and movement and slow casts. What this means for us is that many of the weaknesses you point out on the character are actually intended weaknesses. Her E is supposed to represent a window where she spends set up time to CC opponents and establish plant control and I at least feel it’s important for it to have a longer than usual cast time. You also talk a lot about Zyra’s matchups as a Mid laner in the context of professional play. While I think we do want to support Zyra as a Mid Laner for Solo Queue play, it’s felt out of reach to get her into Pro Play as a midlaner (similar to Annie). I don’t want to say that this is completely off the table long term, but as our team mostly works in 2 week spurts, making Zyra a desirable Professional Mid Lane pick without straight breaking her for the overall game is just out of scope. With all that being said though, I will say that Zyra probably isn’t getting enough payoff from her kit at the moment. Personally, I have my eye on the Ult knockup duration and Plant scaling throughout the game as potential areas that we could buff on the character in the near future. Yes, we are looking into nerfs for Riven, and fairly soon! We don’t wanna ‘gut’ her, though. Riven players love their brokesword. Mostly prepping for Preseason. 5.19 and 5.20 were relatively small, and 5.21 will follow suit as we’re putting the finishing touches on our preseason work. Then, we will open wide each of our 10 mouths and sing the song that consumes the earth. 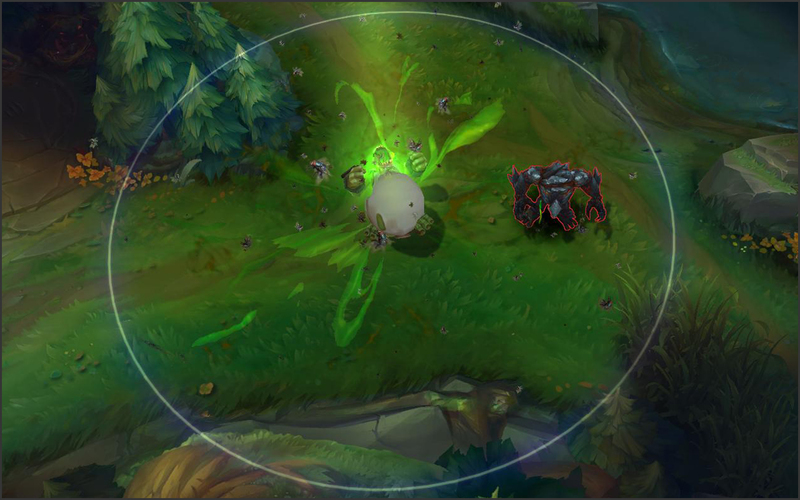 role/function – if we were to ‘zoom out’ and pick just one threat that syndra’s opponents should be mindful of, it’d be her ability to make picks. opponents should need to be more mindful of the space around them when fighting syndra, and mistakes in positioning shouldn’t be forgiven very often. we’d want syndra to be functional in this regard above most other threats she could provide. power timing – syndra’s ‘thing’ is about her ascension to more powerful states, so we’d much rather have larger amounts of her power come from things like her upgraded abilities than her first few levels in lane. currently, this is an area where we have a lot of room to improve. changes to address her power/impact/satisfaction in the later phases of a game (e.g., levels 16-18) are likely the next project we’d want to take on for her. cadence – i personally feel like syndra is in a really good position to have one of the more satisfying and clearly represented ‘ramping threat’ profiles in league, especially since it directly ties in with her threat relating strongly to a need for spatial control and cashing in on good play there by making picks. i’m not sure if we’d have a strong reason to make further improvements here in the near future, but i can imagine a world in which we get to play this up even more and that makes me excited! practically speaking though, making refinements in this area would likely be a larger undertaking since it’s tied so strongly to the feel of playing the character (which i personally find quite enjoyable) so prioritizing it over other projects can be a tricky proposition. so, getting back to your original question, i think the future of syndra includes a lot of focus on getting her timings right regarding power curves. we’ll most certainly look at her passive (a lot to be gained there, i feel) and anything else that lines up with a project in that vein. when making those adjustments, we’ll be looking at preserving her baseline function as a control/pick mage and playing up the good feels around her cadence if possible. hopefully that covers your question! Don’t see a way we could do that without compromising on her duo lane power. One of the reasons we make Leona so incredibly powerful and tanky without many items is because her base values are calibrated around her not having a gold source. We tend to let champions like Sejuani (who thrived close to a 60% win rate for a while) level off after we nerf them in some way. We’re not intending to leave them to die and be forgotten, but in the interest of keeping the live environment fresh, we don’t want to rebound and throw more buffs at her, since she only just stopped being picked so much. She’ll be back — we’re just trying to let other champions have some time in the spotlight! I think I miscommunicated! We don’t want to rotate the META, but we want to make sure that champions all have time to shine at one point or another. The meta shifts itself! For clarity, a rotational meta to me has some pretty explicit goals where you aim to make a totally new set of characters the dominant choices, often with the subgoal of focusing on selling more content. This is NOT our goal. Our goal on the team is consistently bring up champions below the balance bar and bring down champions above the bar so we get progressively towards a better state (which will get shuffled around during preseason most likely). This can have a rotational style effect where the “top tier” of champions is often changes but it’s a very different approach. Sejuani in this case is pretty middle of the pack right now by most metrics (data) and perception, which is a good spot to be for any champion but generally means we won’t revisit her for a little while, as our primary targets are the outliers at the top and bottom. Joking aside, Rengar’s win rate and pick rate for the average player are actually reasonable, but as with any other feast or famine type of champion, when he gets strong he feels awful to play against. He’s been a tricky one to keep balanced, because there’s a fine line between removing his cool stealthy burst combo and making him feel ‘fair’. As an assassin, he also is strongly affected by meta shifts. We are still considering ways to make him less faceroll-one-shot feeling without alienating players that really love to play as him. I’m an ADC/squishy support main, so I definitely empathize with how awful it is to play against people that delete you from the game. Pretty open-ended question there, and not as many obvious troll responses. Well, let’s say that we do a lot of different types of analysis for what a champion’s numbers should look like. Sometimes we look at pretty basic comparables (i.e. this is Lucian’s full combo at 9 with a BF Sword vs Graves) to get a first sense that something may be off. Then we can look into much more detail. For Ekko before release, Gypsylord and I looked at multiple different burst profiles (poke damage, full damage besides ult, full damage including ult) and measured them against other champions in his class that either had similar burst styles (maybe Diana) or had really spikey high-ends with huge AP Ratios (Leblanc, maybe Annie). We also have a pretty decent read on knowing what small base stat changes will do to a champ because we’ve seen the effects of them so often. That said, a lot of what we do is pretty well tied into both the objective aspects of playing a champion (i.e. this guy has X base damage at 13), as well as the subjective aspects (i.e. we have a huge amount of expertise on this topic, and we can confidently say that Darius is overtuned…that one may be a gimme). Totally bro, gotta climb that ladder. I generally steer away from Mid Lane, but I find Veigar’s Q double-tap farming pattern really fun. I’m more of a Support/Jungler. As for do members of the balance team use their secret insider knowledge of the state of the game? Generally no, but it depends on the person. I play Bard and Udyr as my two main guys in Ranked. Neither is exactly topping the win rate charts, but I enjoy playing them and can carry a game with either. Numbers actually don’t discriminate when it comes to things like pick rate, win-rate etc for supports like you might imagine – though they’re often banned far less than other champions unless they’re wayyyy out of line (A little while ago, Janna sported a higher win-rate than maybe all but ~6 champions in our game, but was banned in less than 1% of games). TL;DR – We evaluate supports on similar metrics to the rest of our champions, though we’ve seen large swings from small changes in this category specifically due to the smaller pool of supports (so even a small nudge could make someone played a ton or played a little, because the next one replaces it). Heavily, actually. Our changes to all of the Juggernauts in 5.18 (where all 4 + GP/Fiora were nerfed) were actually done with champions like Gnar in mind, who we consider to be a popular and effective counterpick to these champions. Worlds has proven this to be mostly true, though obviously GP and Mordekaiser need further work. Often times if some champion or strategy is domineering, we’ll think a lot about why that is – and in some cases, endeavor to buff a champion or item that’s part of that champion’s counter-matchup (such as making Spectre’s Cowl more efficient/better when mages are everywhere top, etc). We have a few changes to pathfinding that should make Unit Collision a little smoother in lane for Preseason. I’m not sure how much I can get into with Quinn. All I can say is, we have been testing some changes to her that I am super excited for, as something of a Quinn enthusiast. You may be able to ask RiotRepertoir for more, he’s been doing some really cool work there. We have a ton of different metrics that feed into our balance decisions. For example, we look at base win rate across all elo, Plat+ win rates, pro win rates, and experienced player (more than 30 games on a given champion) win rates. Aside from win rate, we look at picks and bans, popularity, player perception, etc. We monitor this stuff from patch to patch, so it’s pretty easy to pick up on trends as well as predict them. Like most of Riot, and really game development in general, we’re pretty diverse. We have people with no college education up through PhD’s. It creates a really unique design atmosphere because everyone sees things in a different way. Some people are very good about thinking in systems, others better in numbers or thematics. It’s a lot of fun. We work with pretty much everyone in “core” LoL, Champion, Champion Update, Game Systems, and so forth. It’s super important to understand not only what everyone is working on, but also why. Cross-team alignment can be tricky, but it’s a must for game health and balance. Definitely a bit on the strong side. I still believe that the changes made in 5.18 were important to make his W feel like a reasonable skill on it’s own (not just a slave to his E), and take away the weirdness around missing champion last hits on his Q, but it does appear to have put the character a bit overboard. We’re currently investigating some nerfs to the guy and I think are leaning towards easing back on his base damages a bit to soften up his lane and play up his role as a hyper-scaling evil mastermind. Alternatively, popular team compositions right now aren’t terribly favorable for Lux, but I wouldn’t be surprised if she showed up. I’d agree with MWAB here – Lux’s performance in normal play (especially since 5.17) has actually improved a lot, but professional teams just don’t seem to be valuing their pick-potential from the midlane, opting for Kalista, Kench, Thresh, Elise etc to do that for them. She’s got the waveclear though. She’s one of my few picks (like caitlyn, thx flash wolves :D) to still see play before the tournament’s end! With you on the jack of all trades aspect atm, but I don’t think she’s missing in high moments (her ult + Charm is still a premiere pick combo). I think Ahri is probably on the strong side a bit, may need to keep an eye here. Changes are more focused on making each Marksman feel unique and different, highlighting what they’re really good at, and making sure they’re supported by our current itemization. The changes are less about changing relative power levels and altering the meta. 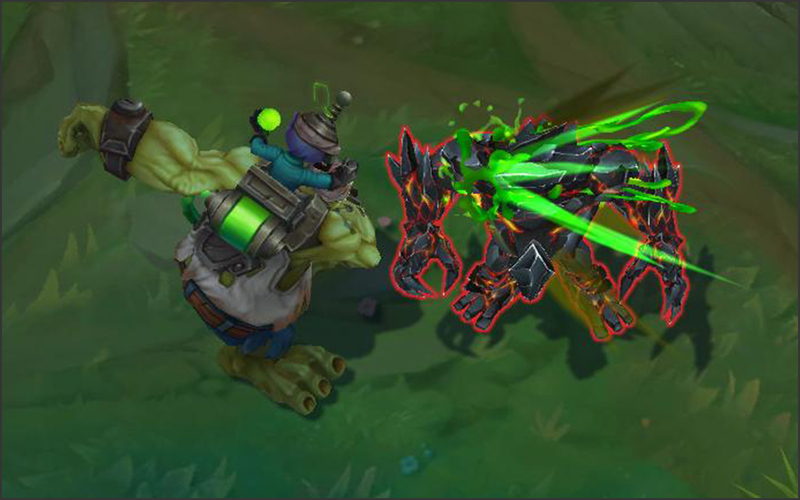 I think some of the changes might make Teemo/Urgot feel a bit better about being Marksmen, but we don’t have a true “Urgot ADC dream item” in the works. The changes aren’t huge, but personally speaking, when testing them I think people do feel like they had a bit more choices and build flexibility than on Live. Perhaps not an exciting answer, but these are really case-by-case. For instance ‘no hard-cc on an assassin’ is thrown out the window by Ekko, but we specifically designed all of his damage output and abilities around that fact. I’d say it’s generally less that there are ‘hard rules’ and more that there are some mechanics or abilities that are handled with extreme care. For instance, sustain and hard CC tend to be some of the ones that make people the most nervous – having the highest ‘potential’ to get out of control if not handled carefully. regarding the other questions, yasuo has an easier time in mid lane right now than we’d historically be content with given the current balance state of the game overall (items, balance of other champions, etc). this in some part points us into looking at other champions (like zed, for example) and doing a deeper dive on them. 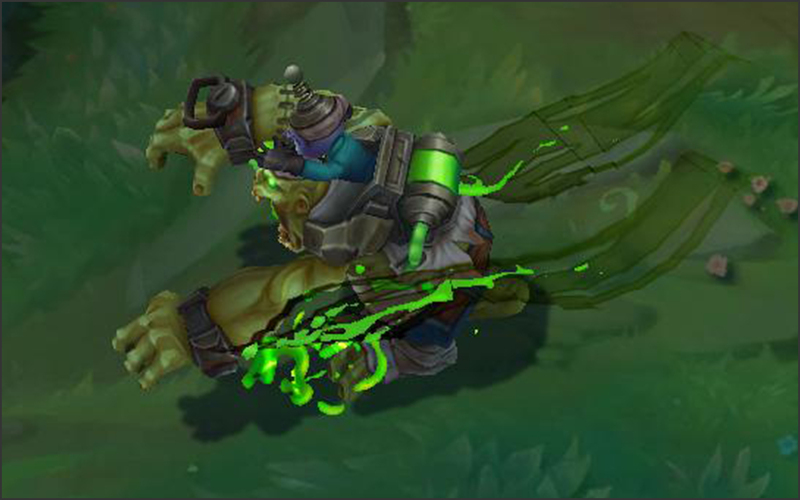 tahm kench is someone we’ll almost certainly need to look at again next season, but there’s still quite a bit to assess here in terms of which strengths are the healthiest/best to keep strong and which ones could potentially cause problemsâ€”same goes for his weaknesses. we’re not currently in a rush to jump on tahmmy boy though, so we have a bit of time to digest all the data we have coming in for him and that should lead to a more complete analysis soon. Zilean’s passive has been a weak point for a while now, and his Q had numerous little things that felt “off” about it. Those are past-tense sentiments. When the PBE updates, the new stuff will be in! This update is all about visceral satisfaction. The Q should feel better to use and the passive gives allies XP in a much more hands-on way. If any of you fine folks have the chance to check it out on the PBE, I’d love to hear what you think! For Time Bomb, we’ve updated the attach logic, tweaked the animation timing, given it a new attach particle, fixed a bug where it would appear to ‘flicker’ on landing, and generally made the way it interacts with the game world more consistent and satisfying. None of these changes by themselves are likely to stand out, but taken together they should improve the experience of using Time Bomb significantly. For the passive, it’s new! Behold! When he has enough Experience to finish an ally’s level, he can right-click them to impart it. Zilean receives as much Experience as he gives. Cannot be used in combat. Does what it says on the tin. While the passive is off cooldown, Zilean sees indicators letting him know how much more XP he needs to finish someone’s level; when he has enough, there’s a line indicator to show him he can activate it. Hi-five a level into your buddies! Zilean gains the same XP as he gives and banks XP faster the higher level he is, so he wants to use it as often as he can. By being higher level mid lane he has slightly more XP to hand out, by being with an ADC bot lane he has persistent access to an ally. At level 18 Zilean no longer needs any XP for himself so the amount he gifts his allies effectively doubles. These changes help establish Zilean’s identity, both thematically and in gameplay. Thematically, Zilean’s typically had a lot of interesting and unique elements, but has fallen short of the epic power expressive of time magic. Some of his spells do reach that height–Chronoshift, the Time Bomb stun, and to a lesser extent the 99% value on Time Warp. By giving him direct, visceral control over one of the fundamental forces of the game, he solidifies the stature that befits him as a time mage. In gameplay, Zilean’s support side excels against assassins/divers and in a protect the carry role; in this, he is typically overshadowed by Lulu, who shares his solo/bot switch capability and who can defend her ADC without the dps interruption that Chronoshift’s revive brings. His utility mage side often overlaps with Orianna, a perennial generalist who can provide utility from a carry role and who also capitalizes on melee teammates. Between these two, Zilean’s unique elements are his superior synergy with juggernauts via Time Warp, his amazing lategame control scaling, his massive zone control (compared to Lulu), and his mid-game roaming (compared to Orianna). Time in a Bottle gives him a capability that’s totally unique in its own right and further accents the things that separate him from other champs. Juggernauts typically care about levels much more than ADCs and the passive rewards him for roaming. It won’t solve all of Zilean’s challenges, but it helps the time mage float in the right direction. Lastly, we’ve added a rec item page for mid; players can toggle between the mid and support rec items by clicking the down arrow on the tab title. The mid page displays by default–generally, the newer players are the ones who use rec items and mid lane is a much more forgiving place to play the Zilsta. Foxy grandpa indeed. All this stuff will be on the PBE soon, I’m especially eager to hear how the changes feel in live games! It only counts whether Zilean is in combat, and combat with minions doesn’t count. Base AD being significantly more appealing on some types of champion than others is something we’re trying out as a lever for better item design. Something we’ve struggled with in the past is creating items to help out some classes or positions because of the way other classes/positions would take better advantage of them (a pain some junglers for example probably recall well, given some past uses of jungle items by laners before the need to at least take Smite to do so). In this particular case base AD/total AD ratios are things we’re looking to focus on juggernauts much more than mobile melee. If items like Sterak’s become problems on characters like Irelia and Riven we’ll look at whether we can shift them to bonus scaling instead of total, rather than necessarily having to nerf the items in question. Bonus versus total AD is a tool we’re looking to use as a way to distinguish different classes somewhat, rather than an old way versus new way thing. It’ll vary a little, but essentially this is the planned format moving forward for every Champion, including all currently existing ones. It’ll take us some time, but we’ll get there. Each new champ will be getting one on (or very near) release. Separate teams are developing the longer character intros. Narrative folks embedded on the product teams Champ and ChampUp will work on longer intros for the champ they are focused on, another team is working purely on small edits (removing mentions of IoW. for example) and also writing full pieces such as we did for Bilgewater. The discipline (Narrative) makes sure we’ve got good communication on how those different endeavors are working together. It won’t be limited to events like Bilgewater. We don’t have anything ready to show other than the two artifacts we have so far. It is being worked on though, I checked in with Ant in Oz about it this week. A timeline is something being worked on by the Foundations team. There’s a lot of work to go into that though. It’s high on the list alright. That was not a pun. The Foundations team is working hard on Mount Targon, among others regions. I think it will be the exact opposite of a unified culture. Ionia isn’t a small island, it’s pretty huge. There will necessarily be a lot of diversity due to landmassâ€”it’s not as big as Valoran, but there’s plenty of room for different landscapes and people. You’re spot on about the lack of history beyond the Noxian war. A few of us were speaking about this very topic yesterday. That’s something we know we need to develop. The Freljord’s past, present, and future is very much on our minds. You’ll see development on that, just not right now. This cryptic tease was brought to you by Poro Snax. Poro Snax. Now only 97% poro. Concept artist Jon Buran has uploaded several concepts for League skins. You can find the collection on ArtStation HEREÂ and you can find the remainder of his art on his DevinantArt page. Check out Demon Vi, Spirit Fire Brand and Cosmic Reaver Kassadin! 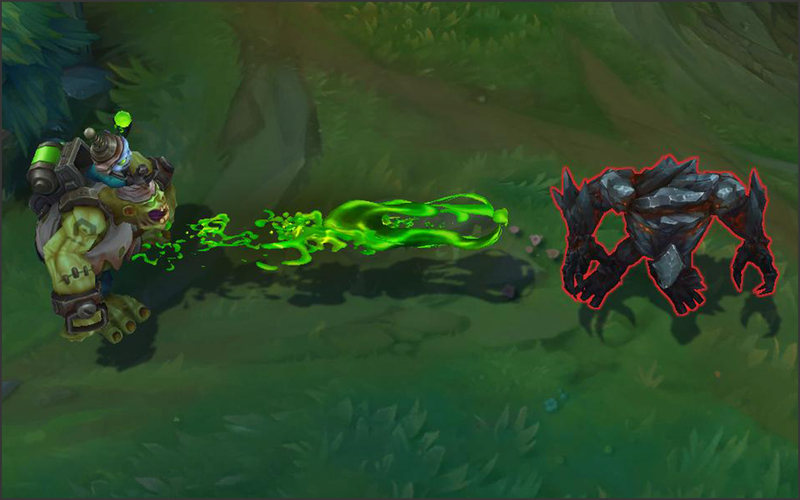 Tech Designer ReinaSweet has shared plans to update Abyssal Scepter for bruisers in the next PBE cycle.Â On the forums,Â Lyte has answered some questions regardingÂ the Instant Feedback System released in beta yesterday on the PBE. Â Also, Meddler gave context to the recent changes to RivenÂ on the PBE. Lastly,Â artistÂ HyliaÂ has sketched up an amazing companion for Lux – Star Guardian Syndra. @ReinaSweet Thoughts are to concentrate it on the play pattern of AP bruisers (and AP tanks a bit). We’re looking at MR for mages elsewhere. Â For reference, yesterday’s PBE update included an announcement for an Instant Feedback System that’ll be entering beta. Weâ€™ve just started a test of the Instant Feedback System on the PBE. During this first test, player reports help the system recognize and punish instances of verbal harassment like homophobia, racism, sexism, excessive abuse and death threatsÂ immediately. Weâ€™re starting with these exceptionally negative expressions because we already know the community emphatically rejects this kind of behavior. If a player receives enough valid reports to trigger the system, within 15 minutes, the system will examine the case and determine whether the reported player behaved in a manner that should be punished. If confirmed, we email the player with the relevant chat logs and info about the appropriate punishment he or she will receive. This is the first step in a plan for a new cohesive player behavior experience in League of Legends, and weâ€™ll be talking more about this vision this month including how players can engage with the systems and contribute to making the community a better place. As an additional note, we’ll also be talking a bit more about the new voting experience where players can log into a website, review chat logs and vote on whether the behaviors are negative, neutral or positive. I’ll be around the next few hours in case there are questions. We’re going to give players even more ability to directly influence these systems through their reports, honors, and voting in the future. All of the “automatic” systems are 100% informed by player data, and not by our own guidelines or rulesets. However, we finished Reform Cards awhile ago and just felt that there would be value in launching that feature first, even if the other features are not ready yet. It depends on the nature of the behaviors. If it’s a death threat (an extreme example), 1 report might be enough to validate the behavior and the system will immediately deliver the punishment. For reference, Riven received minor nerfs in a recent PBE patch. We’re testing a reduction to Riven’s ult’s travel speed to give her opponents a bit more time to react to it at longer range. The idea is that it should be more realistic to get off a clutch flash, heal or shield to save yourself or someone else if Riven’s not directly on top of you when she uses Windslash. Windslash speed certainly isn’t one of Riven’s core strengths and that’s the reason we’re hitting it. It’s an opportunity to cut a bit of power off a champion we think’s a bit strong without having to nerf her in a way that affects the things she’s meant to be good at. Yup, if we can find a way to make strengths stronger and weaknesses more pronounced that’s generally the direction we prefer to go. Goal there is to try and make (or keep) champions distinct from each other so that they impact other players in different ways, require different skills to master, allow you to pull off unique stuff etc. We will sometimes have to hit a champion’s strengths if they’re fundamentally problematic, it’s not our first choice of approach though. No current plans/nothing in progress right now. Did some experimentation a while back with a shield passive based off CCing enemies, wasn’t able to hit on a version that generated sufficient decisions and satisfaction without putting a lot more power into it than could be afforded without nerfing her significantly elsewhere though. Might take another crack at passive explorations at some point, would be inclined to explore other variants on mana or mana regen effects next. See whether pushing the ‘Lissandra has different interactions with mana costs and casting’ aspect can be accentuated more. To wrap up the Friday, here’s some fantastic fan art of Star Guardian Syndra by SummonerÂ Hylia. You can find the original thread HERE. Hey everyone! Star Guardian Lux is amazing and inspiring, and I wanted to try my hand at designing a Star Guardian or two! KateyKhaos tweeted me about the idea of Syndra getting one, so here’s my Syndra concept! I wanted her to be reminiscent of Sailor Mercury and the Mercury goggles, so I made her headdress into a sci-fi magical girl scouting visor of sorts. It turned out a little similar to the DJ Sona headset which I’m not too happy with, but I figured I’d toss it up on the boards regardless! I hope you guys like it! I really hope this gets turned into a skin line! It’s such a cute and fun idea and so many champions have particles that would suit it well. Imagine a bunch of cute blue stars nuking you to death in mid lane! What other champions you guys think would make a good Star Guardian?